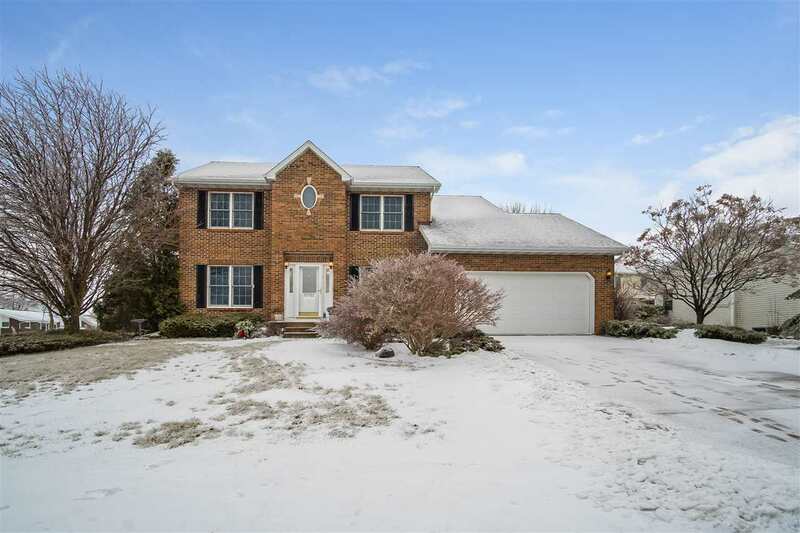 Warm and Wonderful describes this fabulous four bedroom 2 story brick front home that features a formal living and dining room plus family room with fireplace. Beautiful cooks kitchen w/ solid surface, large pantry, and rich custom cabinets. Spacious master suite w/ private bath. Enjoy the finished lower level that offers a bar area, family room and exercise/game area. All this is nestled on a nice lot in Tranquil Cardinal Crest. Updates include bamboo floors, roof, air conditioner, granite, refrigerator, lighting and much more. Items Included: Refrigerator, Stove, Dishwasher, Microwave, Water Softener, Basement Bar, Cabinets In First Floor Bathroom, Window Coverings.